The paper describes the fundamental considerations that are shaping the two new energy codes that will be published by the National Research Council in 1996 – the National Energy Code for Houses and the National Energy Code for Buildings. It begins by describing the rationale for having such codes in the first place; i.e. why do provincial governments wish to regulate those aspects of buildings that determine their energy efficiency? it goes on to explain why based on experience in other countries, the approach of having a fixed energy budget based on only the type, size and location of a building was not adopted but the design flexibility of the performance approach is provided nevertheless. 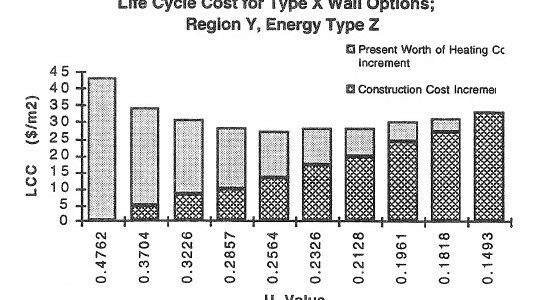 The life cycle costing process used to develop cost-effective requirements is outlined. 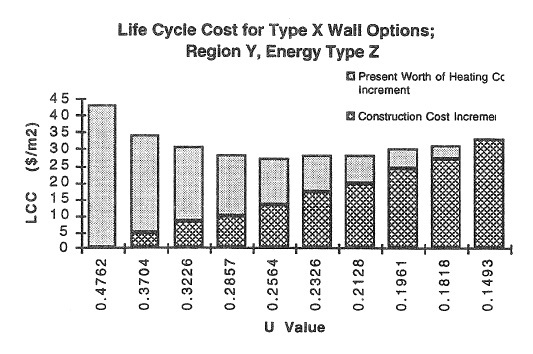 The effect of these considerations on the general structure and make-up of the resulting codes is reviewed, including the result (Surprising to some reviewers that the codes set different requirements for different forms of construction.